Charles Gwirtsman, has over 25 years of experience in private equity, mergers and acquisitions, buyouts and corporate finance. 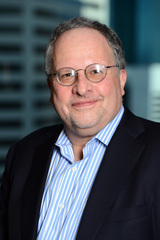 Gwirtsman has served as a member of the Firm’s Investment Committee since its inception and as a lead Managing Director, Chairman and a member of the Board of Directors for a number of its portfolio companies. Prior to co-founding KRG Capital, Gwirtsman served as a Senior Vice President with Fiduciary Capital Management Company as part of a team managing two mezzanine debt funds. Prior to joining Fiduciary Capital Management, Gwirtsman served as a Corporate Vice President with Paine Webber, Inc. in the Private Finance Group, where he was responsible for advising, structuring and placing debt and equity securities. He also served as an investment banker at E.F. Hutton. Gwirtsman serves as Co-Chairman of Friends of Yemin Orde, which represents Yemin Orde youth village in Israel. Gwirtsman earned a Master of Business Administration degree in Finance from the University of Denver and a Bachelor of Arts degree in English from Columbia University.